The farmer’s market in downtown Corvallis, Oregon is filled with crafts, vegetable stands, food carts, music and tons of dogs enjoying constant attention from strangers. 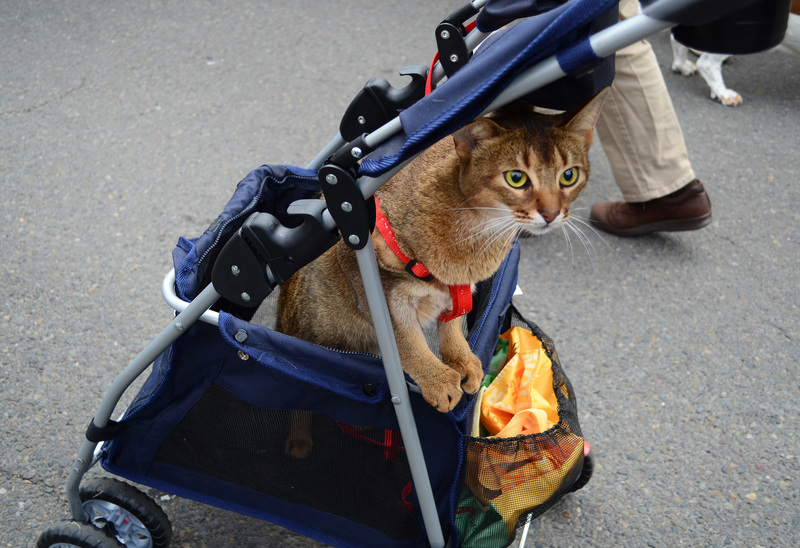 In the middle of all the commotion I was surprised to see a beautiful Abyssinian cat getting pushed in a stroller. He did not seem fazed by the excitement and calmly accepted the dogs that approached and sniffed him and the people that petted her. 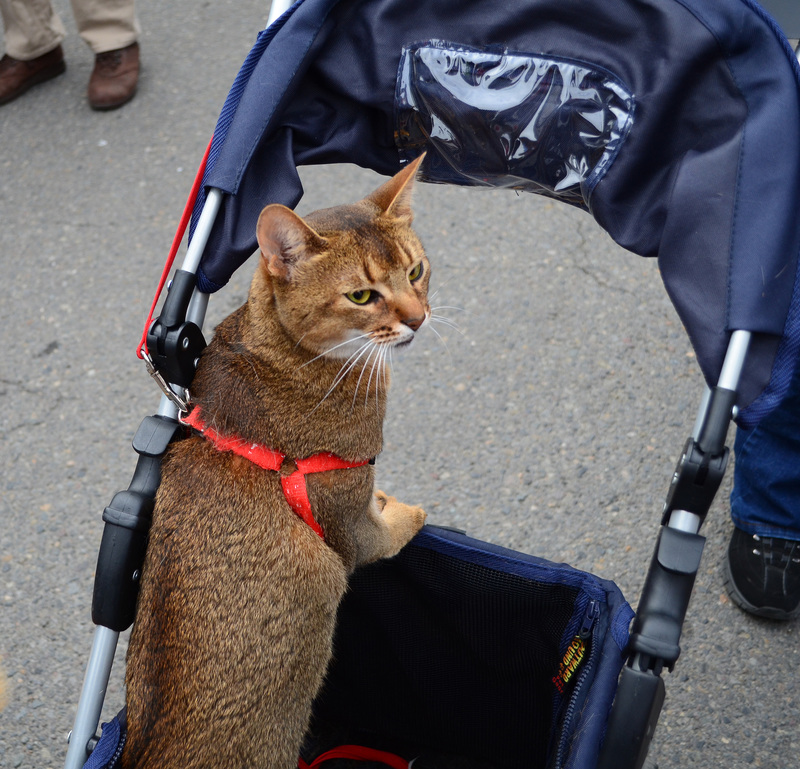 He enjoyed all the attention he received for being the only feline in the market. Strangers commented on his beauty and how unique he was to enjoy the crowds of people. When I tell people I work with cats people often comment they are not “cat people” for a variety of reasons including cats hate being around people, cats only care about themselves, and cats manipulate humans for their personal gain. Anyone who has gotten to know a cat knows these are not valid statements. Cats, like any animal, have a wide variety of personalities. Sure, there are some cats that are independent and do not enjoy much company (just like some humans!). But, it is a myth that all cats are asocial introverts. Cats form strong, enduring bonds with humans. For example, watch this recent video of a cat protecting a boy in it’s family from a dog attack (WARNING: graphic photos at end of video). This is not an isolated incident. There are numerous stories of cats protecting those they care about from harm. This is one reason I find cats so interesting. They have evolved to be solitary and independent, yet domesticated cats form strong bonds with humans and a wide variety of other animals. Please don’t judge an entire species based off hearsay or one experience! I think my favorite thing about working at the shelter was doing the cat “feline-ality” tests. It was fascinating. Yeah, those tests are really interesting and a great way to match up cats with the right family!